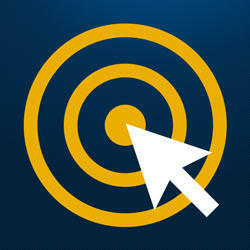 Start Marketing the Sandler Way! you're not utilizing Sandler techniques in your marketing? You need to be marketing the Sandler Way! If you believe in utilizing emotion in marketing, this newsletter may be a good fit for you. Or if you're a believer in the Sandler techniques and philosophies, but haven't applied it to your marketing, you may want to sign up for this newsletter. 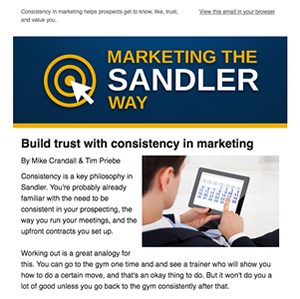 We provide educational emails to guide you in utilizing Sandler principles in your marketing. If you don't end up benefiting from the newsletter, we also make it easy to unsubscribe. Sound appealing, but want to know more about what you’re signing up for? Read some of our past email newsletters.